Russian lawmakers passed a bill (Russian only) vesting bailiffs and executors of justice with the authority to block access to websites containing information recognized as false and defamatory by a court of law. The legislation can be taken as a “technical” and necessary for the enforcement of judgments of rehabilitation of honor, dignity, and business reputation through removal of defamatory information published by online media and informational sites from the Internet. 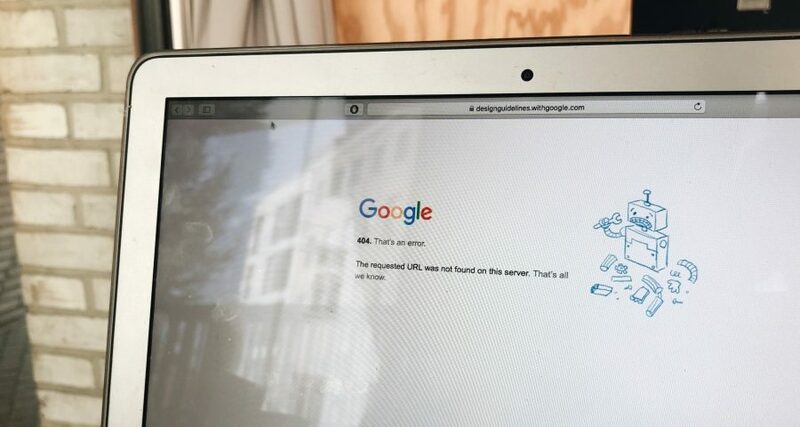 However, human rights lawyers warn of possible abuse and pressure on the media through the unpredictable operation of the “registry of prohibited sites” (Russian only), intended by lawmakers as the comprehensive list of websites with discrediting information, among other prohibited websites. The bill amends the act on information and the act on enforcement proceedings and launches a compulsory mechanism for enforcing judgments in civil disputes (under Article 152 of the Civil Code “Protection of Honor, Dignity, and Business Reputation”). Bailiffs will be able to restrict access to prohibited information by putting websites on the Roskomnadzor1 The Federal Service for Supervision of Communications, Information Technology and Mass Media or Roskomnadzor is the Russian federal executive body responsible for censorship in media and telecommunications. Its areas include electronic media, mass communications, information technology and telecommunications; overseeing compliance with the law protecting the confidentiality of personal data being processed; and organizing the work of the radio-frequency service. blacklist in those cases when information is not removed voluntarily. Thus, lawmakers have introduced new grounds for placing website pages, domain names, and IP-addresses on the “registry of prohibited sites”. The unlock process starts after a website deletes prohibited information from its pages. Human rights defenders have refused to believe in the bill’s purely “technical nature”, rather considering it as the next step in establishing state control over the dissemination of information over the Russian internet, and as yet another round of the “prohibitive trend”. Damir Gainutdinov, legal analyst for Agora International Human Rights Group, explains that the bill mixes up two different legal categories, namely “defamatory information” and “illegal information”. Strictly speaking, these are not the same. According to Article 10 of the Federal Law “On Information, Information Technologies and Information Protection”, “illegal information” is that which propagates war, incites national, racial or religious hatred, as well as other information, the dissemination of which is punishable by criminal or administrative liability (for example, libel or insult). On the contrary, there is no liability for defamatory information. So, according to current Roskomnadzor criteria, defamatory information must not be blocked. Lawmakers started interpreting grounds for blacklisting too broadly in 2012 when they included calls for suicide in the registry, Gainutdinov says. “The experience of applying blocking legislation has shown that the law is understood by law enforcement as widely as possible. In 2012, lawmakers vowed that the blacklist was necessary only to protect children,” the lawyer states. Svetlana Kuzevanova, Senior Lawyer of the Mass Media Defence Centre, similarly stresses that applying this mechanism will restrict access to more information than that officially recognized as false and defamatory. “Blocking practices in Russia have the potential to restrict information in quite an unpredictable way. Blocks can affect particular pages, domains, third-party resources working on banned IP-addresses. Such arbitrary handling of the law, as well as newly added grounds for blocking, makes people fearful. There is one more nuance. The Federal Law allows complainants to demand the removal of defamatory information. This concerns particular fragments recognized by the court unreliable and defamatory, but not the article as a whole. However, nowadays, courts often demand to remove the whole article; such practice can be considered as interference in the right to the freedom of expression. It seems new legislation will be applied in the same way. In particular, while a court might state that a publication’s title (or a sentence from the text) is defamatory, Roskomnadzor will block the whole publication, or—in the worst case—restrict access to a website,” Kuzevanova explains. In practice, it is quite common for the media to cut out separate defamatory phrases from texts, when obliged to do so by judicial decision. For example, RBC Media has “blacked out” some parts of an article about the head of the oil company Rosneft because they were deemed defamatory, while still leaving most of the article intact. Not only the media but any information website can be sued for violating information rights (honor, dignity, and business reputation). One of the most recent high-profile cases on the protection of business reputation concerned the businessman Alisher Usmanov’s demand to remove the film “He is not Your Dimon” (about the Russian Prime Minister, Dmitry Medvedev), shot by Alexei Navalny’s Anti-Corruption Foundation. In May 2017, the court ordered the organization to remove the investigation from its website, YouTube, and Facebook. This court order has only been carried out in part: the film is still available on YouTube, with a view number exceeding 26 million. The explanatory note to the legislation does not include any concrete justifications on how new categories for blacklisting are to be established; in particular, there is no data on the total number of unfulfilled court decisions in information disputes. “That bill would be a justified step if the practice of defamation decisions execution showed a high percentage of defaults. However, according to our observations, most online resources tend to publish a refutation or remove the defamatory information. There are no problems in this part. Therefore, we are concerned about whether the proposed measure is adequate and whether its application will be equitable,” Svetlana Kuzevanova concludes. 1. ↑ The Federal Service for Supervision of Communications, Information Technology and Mass Media or Roskomnadzor is the Russian federal executive body responsible for censorship in media and telecommunications. Its areas include electronic media, mass communications, information technology and telecommunications; overseeing compliance with the law protecting the confidentiality of personal data being processed; and organizing the work of the radio-frequency service. Yuliia Schastlivtseva is a journalist and lawyer. She graduated from the Magnitogorsk State University majoring in philology; graduated with a master’s degree in law from the Higher School of Economics (Moscow). She is alumnus of the Moscow School of Political Studies (MSPS). Yuliia is the Director of the Leonid Nikitinsky’s Centre for legal and media initiatives and Project director in Alliance of Independent Regional Publishers (ANRI). As a journalist, she works with human rights and judiciary issues.